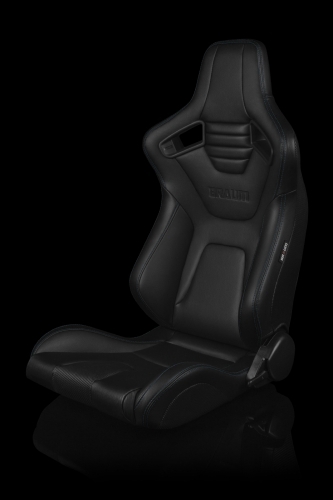 The BRAND NEW ELITE-X Series seats are wrapped in luscious black leatherette in a sleek, aggressive, race-inspired shape. The result is an understated yet unmistakable silhouette that is at the same time both understated and conspicuous. Spectators will be left scratching their head over their OEM look and aggressive aftermarket appeal. You and your passengers will be pleased to find a handle-type reclining mechanism for quick and easy, factory-like seat adjustments. Choose between 4 different stitching colors for the perfect matching or contrasting interior.